After chaos and destruction there comes the calm and where once was an aggressive building now there is good Shakespeare tower, happy and relaxed while singing to birds nested in the attic. To have birds in one's head is a Spanish saying referring to someone being dreamy, immature or mad. 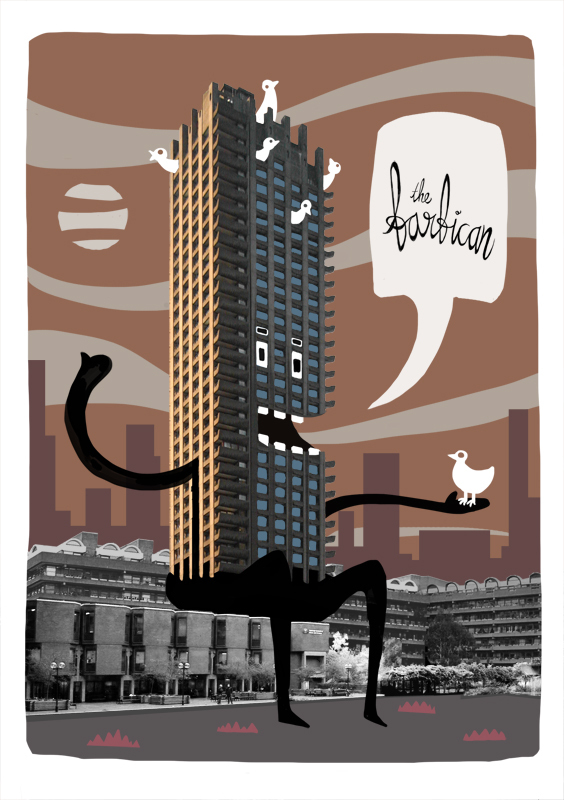 This is the second instalment of building creatures inspired by The Barbican Estate and plays around with the idea of an environmentally friendly architecture. Quite literally.